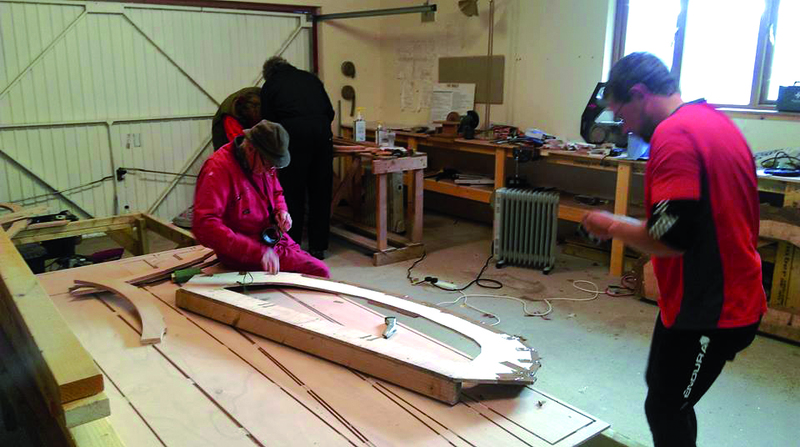 Members of the recently-formed Loch Carron Coastal Rowing Association are busy building their first skiff. Following a public meeting at the Bealach Café, the association want to build at least one community rowing St Ayles skiff to compete in regattas. 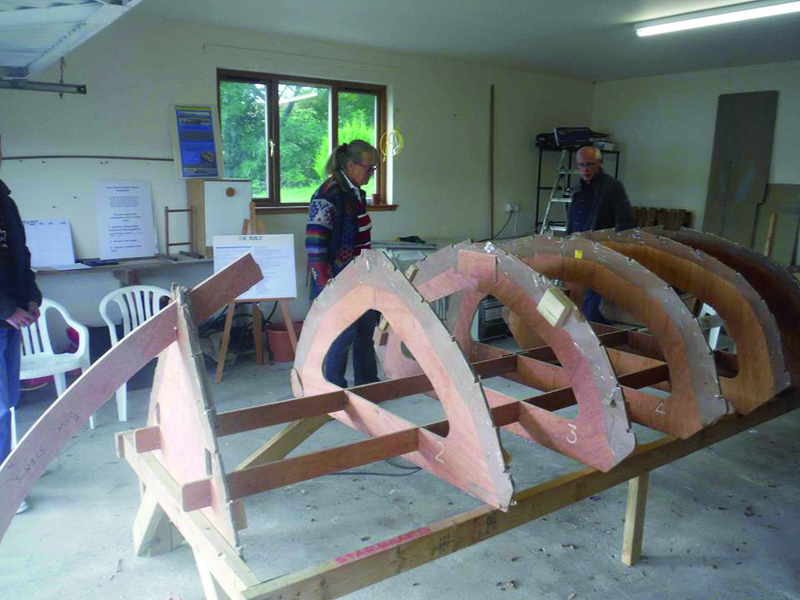 A £2,500 grant from the Lochcarron Community Fund has enabled the kit to be purchased from Taunton-based Jordan Boats — with the design by Skye’s Ian Oughtred — and the Church of Scotland has generously allowed the team to build the skiff in the double garage at the manse. Association chairman Steven Proudfoot said the total cost could be around £7,000 once a trailer, lifejackets and oars are factored in. The Lochcarron Highland Games Committee has also given £1,000 and the local community have raised £500. The main craftsman working on the project is John Murphy, co-owner of the Bealach Café, though over 30 people have expressed an interest in working on the project. For those who wish to support the project through donations or by becoming an association member contact Steven Proudfoot on steven.proudfoot@gmail.com or 01520 722870 or Nick Reiter on nickreiter101@gmail.com. The build team are also asking for the loan of tools — in particular clamps — and are holding a Guess the Date competition for the launch of the skiff, due some time between mid-March 2017 and mid-June.